Page 297 in vol 2 has passenger side removal instructions. The bolts have Torx heads and need an E-10 bit. Check the page for complete instructions, including reassembly. actually they way you guys do isnt that brilliant. trying pulling out the hvac module and pull off the passenger side console cover that cvovers the scews and get a long philips screwdriver to it. but pull the lower trim panel underneath the glove box and you can access everything. takes around an hour to do. I left my wife for fishing and haven't looked back since. 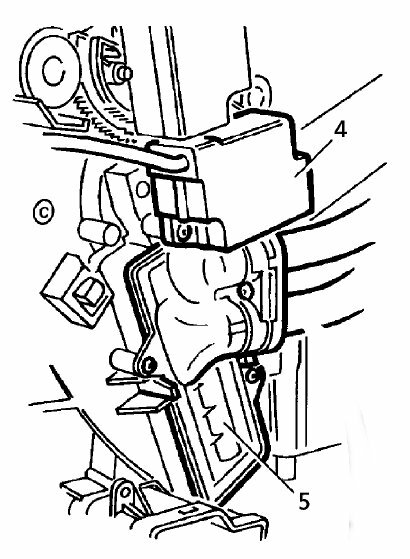 In order to remove the entire dash facia, the WSM prescribes on page 329 of vol 2 (procedure 76.46.23/99) that the steering column must be removed (step 6). This is apparently because the mounting screw of the upper duct at the back of the instrument binnacle is inaccessible from underneath (blocked by a bracket). Only way to get to it is to remove the column. In the article based on Jos Geuze's information, there's a reference to Land Rover Malaysia having left out that screw. To me it would appear that it is a very sensible thing to do. I'm getting read to just cut through that screw myself. Here's a picture I just took for reference sakes to illustrate the predicament. You can see the black plastic bracket just above the duct in the center of the picture and coming off the duct which contains the screw. Its head is underneath that bracket towards the firewall. At the same time, you can see the black metal bracket underneath the duct and how it flares out towards the firewall, just to the upper left of the white NAS sticker. For reference sakes, the procedure to remove the column is described in the WSM on page 129 of vol 2 (procedure 57.40.01) and you can decide if that's something you really want to do. 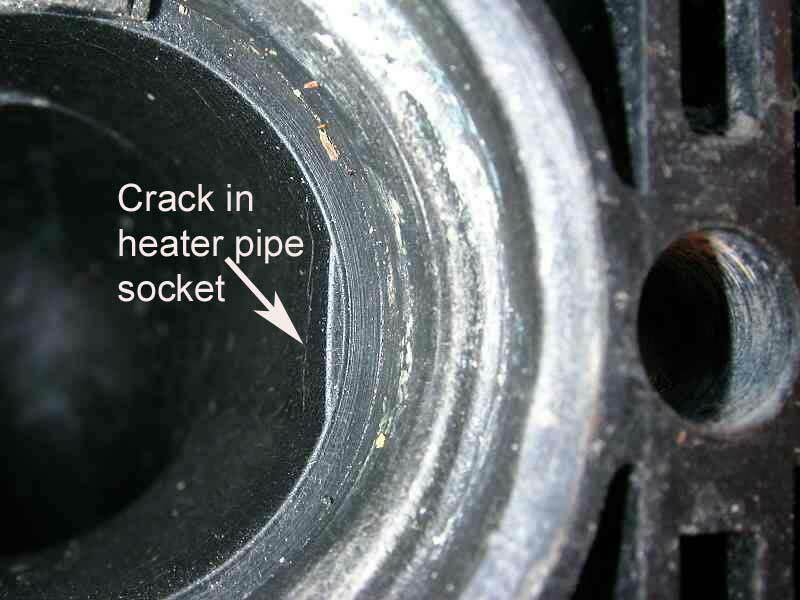 remove the hose clamps on the heater core hoses on the outside of the vehicle. dont press on the hoses to hard or else they will leak, let the coolant drain out and then use a hose to wash the rest out. Use an air hose to blow out the water to reduce water on your head. remove the screws in the covers. remove both side covers for the center console by pulling the rear up and out away from the shifter. Then tap the cover to release the clip. remove the cover and if it the opposite side is still stuck pull it up to a get access to the four screws on the HVAC module, remove the screws and the module. remove the radio and the screws surrounding it. Remove the three screws to the upper center console switch. you dont need to remove the one on the driver side underneath the steering column trim piece. pull out the small foot vent on the passenger side, its two screws, wiggle them out and then you have clean access to the orings. feel for the screw and insert a long philps screwdriver into the hvac module area and aim for the screw. back the screw out enough so it doesnt drop down. pull out the hoses and pull off the orings. install the new ones and tighten the screw up. fill the heater core with water again to see if it leaks. if it does then its possible the orings arent completely tightened up or you have a double oring inside the heater core. 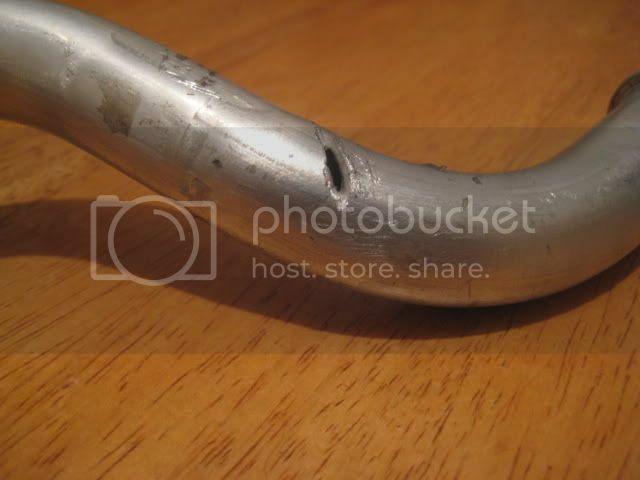 I wonder if this caused by over-tightening the screw. It is important that you do not overtighten the screw. That is a disadvantage of the hex capscrew, it is easy to overtorque the screw and crack the plastic. If the O-ring hasn't sealed, it may be due to other causes. (I'll add some more pics later). Luckily backed it off prior to starting engine...can't tell if any damage done as yet...was thinking I'll "gently" retighten then start engine -see if it leaks, and if so, gradually tighten until no further coolant evident ? when I removed the original o-rings they were very clean, as was the join...even the pipe ends were clean! o-rings were just hard and compressed. Here is a word of warning...... got a bit carried away when cutting the the duct... following photo is the result. I just noticed another sign of an earlier O-ring job. The attached photo shows holes to the right of the radio. 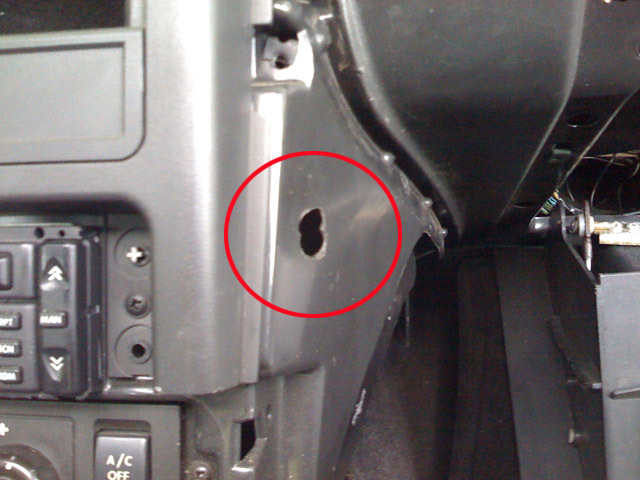 Which hole would access the screw, the hole in the duct under the glove box or the hole just to the right of the radio. I can't quite tell which way the head of the screw is facing. I think that duct is the same no matter whether it is RHD or LHD. IIRC, the lower spec models ("SE"?) don't have the rear passenger face vents, so this duct isn't there on them. If you refer to the original post in this thread and scroll down to bullet-point 12, you can see several pictures of how the duct 'wraps around' the side of the HEVAC box and the location of the screw securing the o-rings. In your 'modified' dash(!!) the screw to access the o-rings, would be the one next to the radio, going forwards towards the engine. P.S. those holes going through the side of the black duct should NOT be there. You will almost certainly be loosing airflow to the rear of the car! I would suggest wrapping the duct in tape at this point or at the very least covering up these holes with some high strength tape! Paul, thank you for the clarification. I will tape up the holes in the duct, but first what screw(s) would be accessed through them? If I place a philips in the hole closest to the camera, I definitely feel a philips head and can turn it. The holes goes through both sides of the duct. It was not tightened down all of the way so I gave it a 3/4 turn in to tighten it. I haven't done the following (- mine is a RHD), but I would imagine that removing the passenger airbag would improve your perspective of what is in there and how to get to things. IIRC the airbag is held on with 3-4 "E10"(??) TORX bolts. I suggest you get the correct size 'TORX socket' on your wrench and remove the airbag. -The duct that goes to the right hand door side vent can be flexed and "kinked" out of the way to allow more room to get at the top end of the removed ducting. I held it in place with duct tape . -I cut my duct to remove it. I could not work out how to kink it in situ as one person has said. -before removing the aluminium tubes I marked mine "top & right" and "bottom and left" to remind of the heater and under bonnet positions. -My pipe retaining clamp screw was threaded in the plastic portion as well as in the plate. SO it screwed in and out on its own, made getting the plate back on tight very difficult. I spun it a few times to de-thread the screw in the plastic fitting which made getting the plate back on much easier. -I used sealant around the "O" rinsg as well to make sure. Otherwise pretty uneventfull and an amazing demonstration of how usefull the forum is. ABS brake block re-furb is next. Oh and another thing I did after reading about it was to duct tape over all the joints in the heater ducting; at the top "T" join and at the join at the bottom of the radio panekl. The difference its made to the amount of air coming out of the dash vents is noticeable. there must be massive internal leakage at these joins.